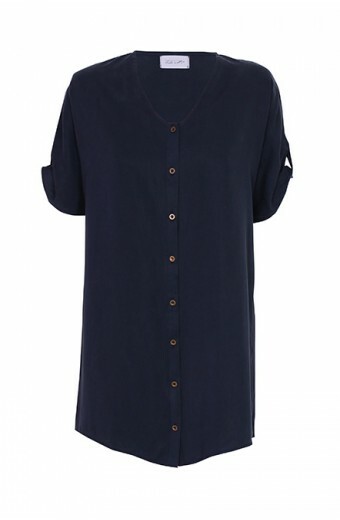 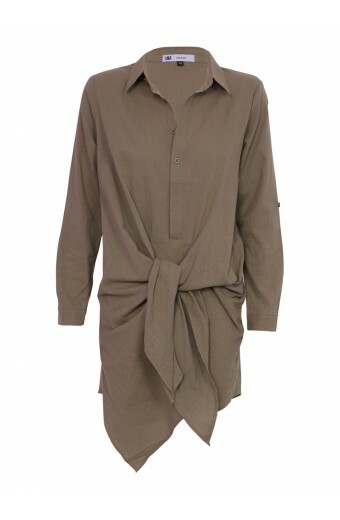 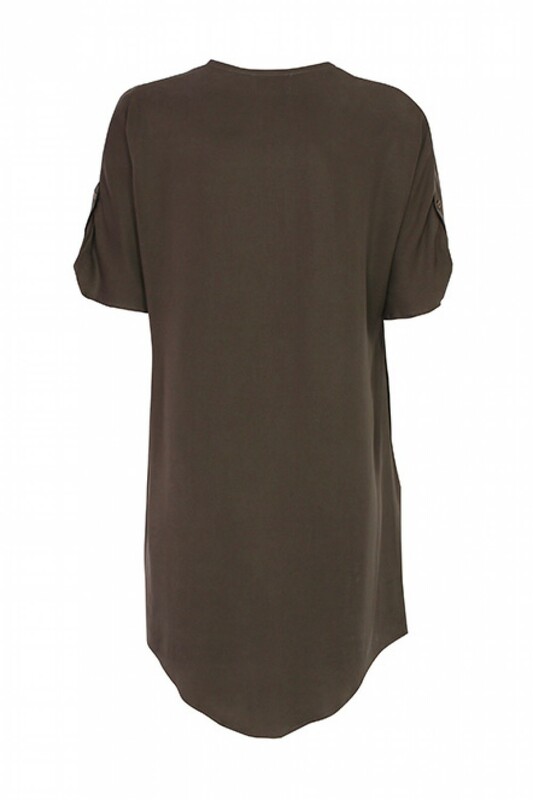 Short sleeve button-up t-shirt dress with roll up sleeve tabs. 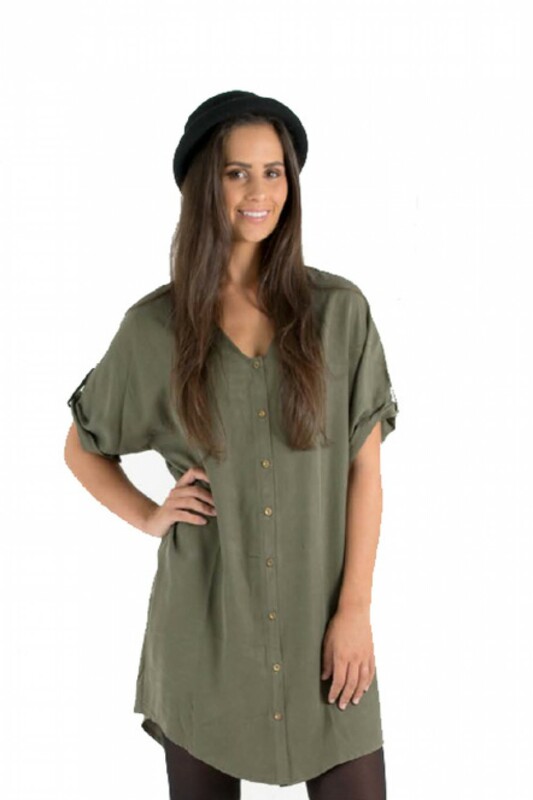 Dress offers loose, comfortable fit and sits above the knee. 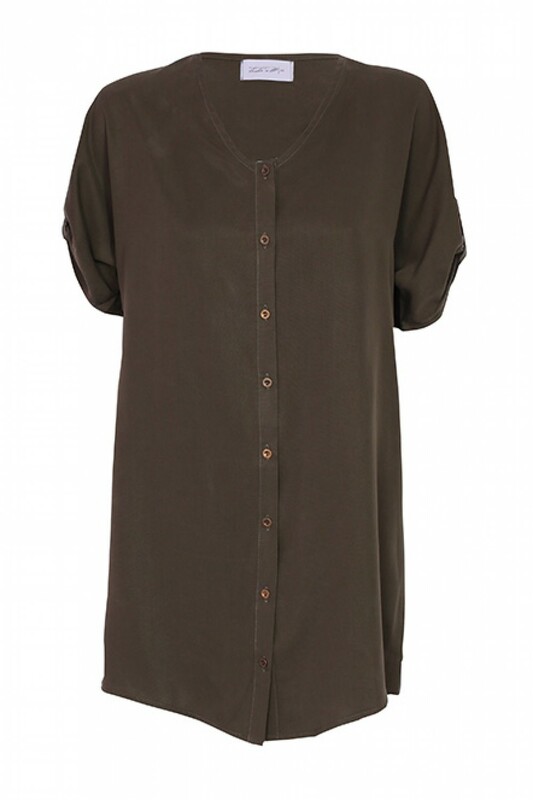 Pair with stocking and boots for a comfy winter ensemble.